We could not have asked for a better weather day a few weekends ago when we went on this Alphabet Adventure. As we get closer to the end of the alphabet, and are nearing the one year mark since we began, we're getting excited about the idea of wrapping up these adventures. Big Brother was pretty excited to discover we were headed on an adventure; he reminded us it has been a while. 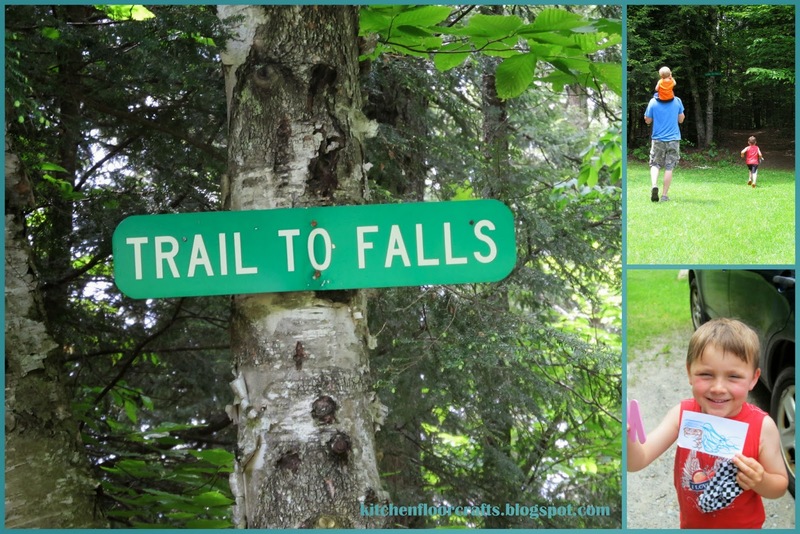 For this adventure we headed to a local recreation area known for its large waterfall. I hadn't been to this site in almost 15 years, and none of the guys had ever been there. The waterfall is at the bottom of a big hill, and was a quick walk down. At the bottom we walked up as close as we could get to the falls. This meant climbing over the rocks, which we helped the boys to do. At first we stopped at one edge of the waterfall. But Daddy decided he wanted to get even closer. When he got back down he encouraged us to come up with him, which we did pretty carefully. 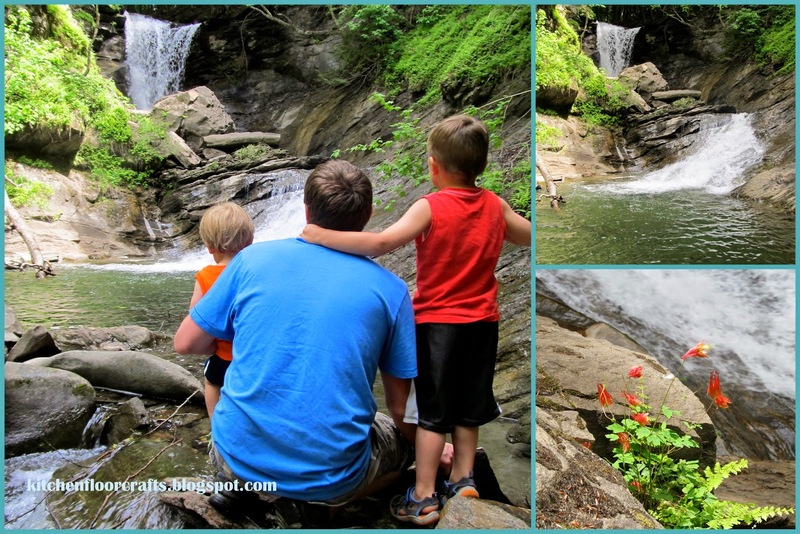 The view at the top was very cool, and we noticed both the sound of the waterfall and the feel of the spray. We didn't stay at the top very long, just long enough to enjoy an up close view. 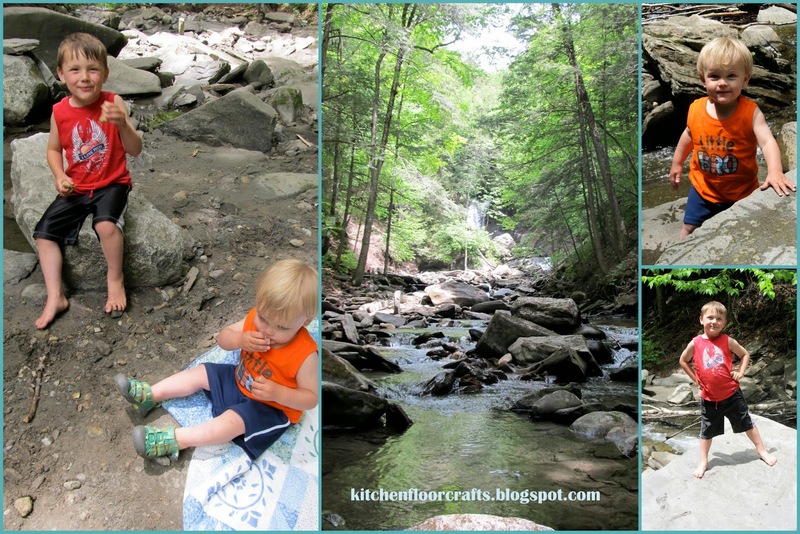 We went back down below to more level ground in order to have a picnic lunch and some playing in the rocks at the edges of the water. We were the only ones there the entire time we visited, which made it very peaceful and relaxing. We definitely will be headed back again this summer. 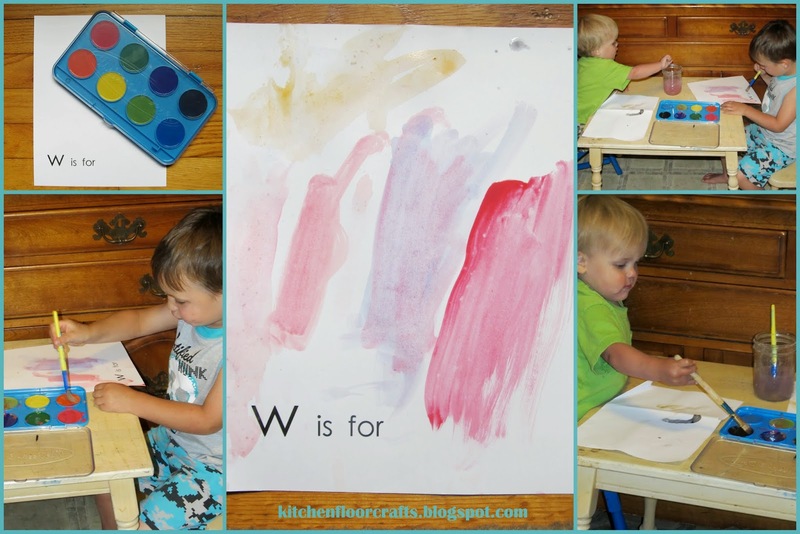 The Project: W is for Watercolor. We kept our "W" project simple. We have a great set of watercolors from Mellissa and Doug. I set up a painting table for Big Brother, which instantly drew both boys in. Only three letters left, where will our adventures take us? Other W adventure ideas: water park, windmill farm, and water polo game.